There are countless historic, mom-and-pop burger joints across Minnesota, each one with its own nostalgia, history, and character. A quick internet search will show you plenty of eateries to stop in on your way through any given area, or as a destination in and of itself. Sometimes it’s for a quick fix on a roadtrip or a break from cooking at home, sometimes to crush a killer hangover, and sometimes it’s purely for the undeniable joy of indulging in America’s most definitive comfort food: Burgers, fries, onion rings, milkshakes. Gordy’s Hi-Hat in Cloquet, MN, nails all of these things. Gordy’s Hi-Hat has been around since 1960, open seasonally in warmer months in the northern part of Cloquet, just outside of Duluth. 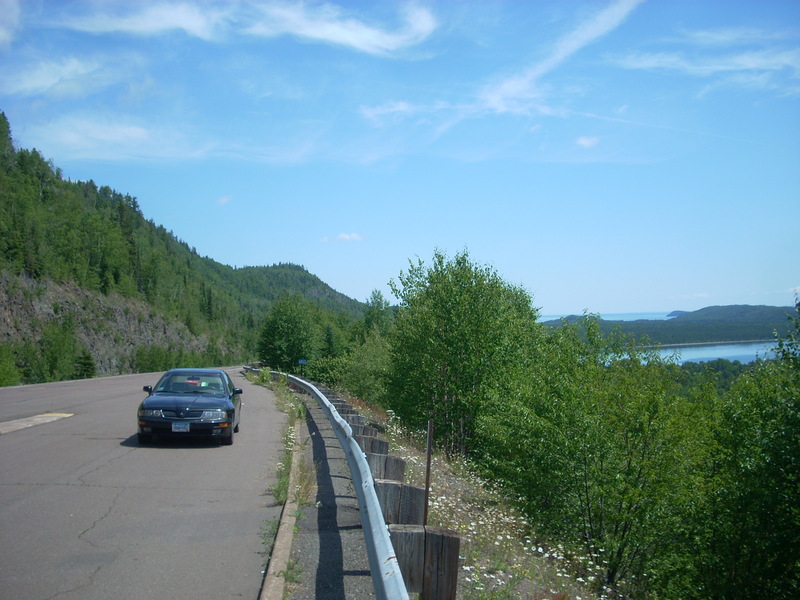 It’s a popular stop for cityfolk heading up north to their lake cabins or the Iron Range or even Canada. The small, iconic landmark was started by Gordy and Marilyn Lundquist almost 60 years ago. They still work there, along with the next two generations of family. The service is top-notch. The vibe is oldies and surf rock music, checkerboard floors, and happy patrons, mostly families. 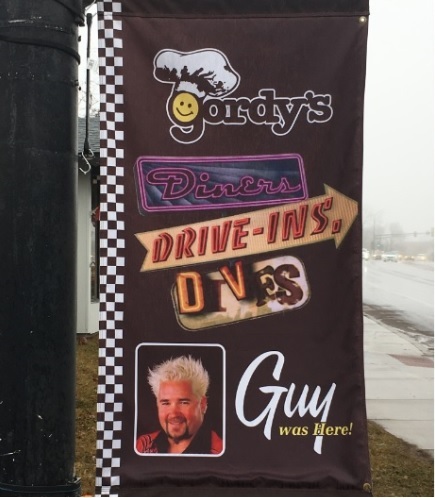 Out front you’ll see a giant boulder painted like a cheeseburger, a vintage neon sign with a smiling cartoon cook, and a banner proclaiming the Hi-Hat’s inclusion on the popular Food Network show Diners, Drive-ins, and Dives, complete with his frosted-tips eminence, Guy Fieri. And then there’s that food. Gordy’s serves up some of the meanest, fresh-made cheeseburgers in northern Minnesota, hand-pattied daily. Fries and onion rings are served in big boxes, and the sliced-daily onion rings have a special, house-made breading recipe. The burgers are so very crushable, served to-order on soft, pillowy buns. There are also shakes, coney dogs, fish baskets, and a handful of other staples. The ordering process goes fast and smooth. 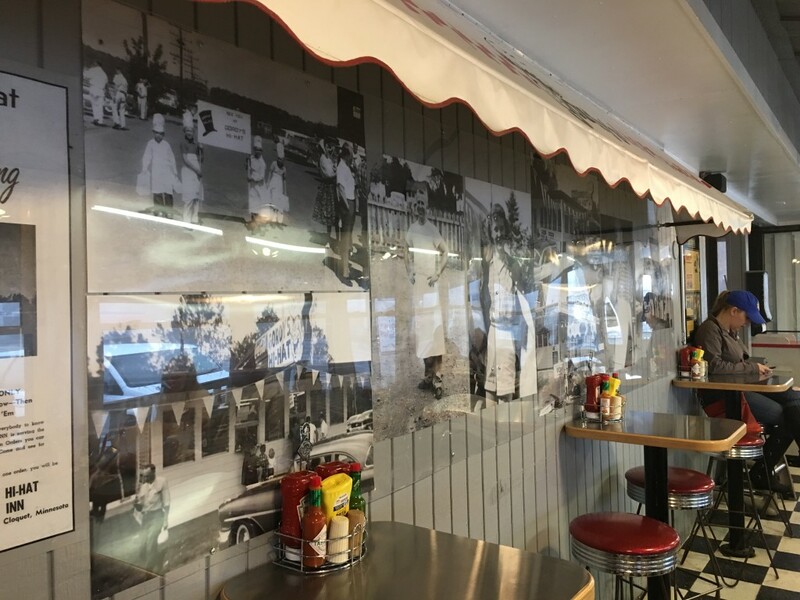 You can eat inside near walls adorned with old photos and newspaper articles over the past six decades about Gordy’s history, or outside on a patio at picnic tables. You’ll see pictures of the annual car shows held here, customers and employees throughout the years, and how little it’s changed since its inception. 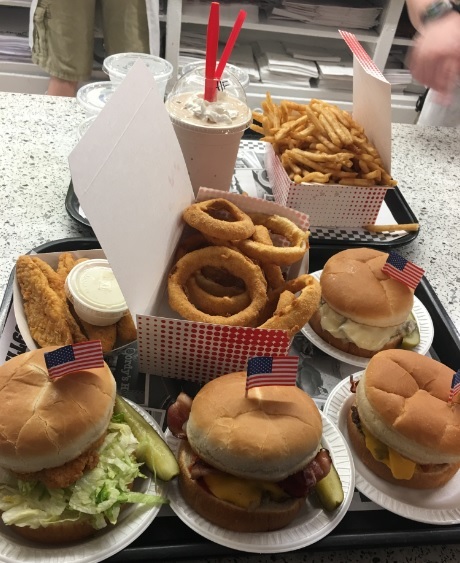 Much like Moorhead’s rogue Dairy Queen or Lake Lida’s Maple Beach resort, Gordy’s is known for its loyal customer base, unwavering dedication to service and tradition, and outstanding fare at reasonable prices. Lines are common especially on opening day, but the wait is surprisingly quick. 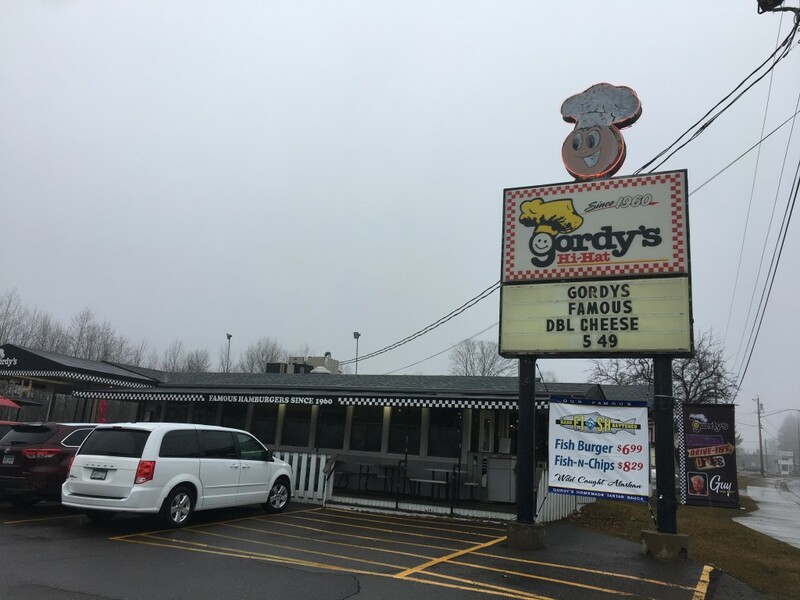 Stop in next time on your way through and find out for yourself why people have been coming to Gordy’s for almost 60 straight years, and probably will for 60 more. Gordy’s isn’t going anywhere anytime soon. You will leave full, happy, and already planning your next trip back. 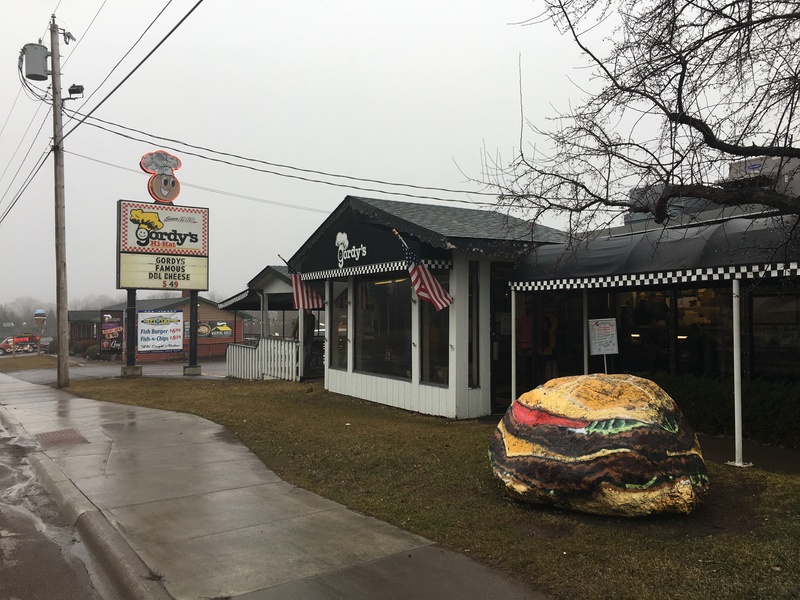 While in the area: Gordy’s is just down the street from the iconic Frank Lloyd Wright gas station, a great voyageur statue, and a Dala Horse statue. And Duluth is only about 15 minutes away.